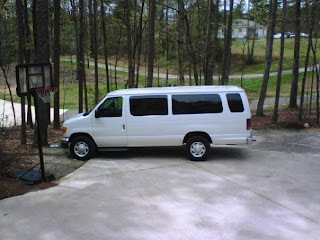 We got a E350, 15 passenger van. We got in it today at the dealer and Madison said, "Mama, it's just like an airplane!!" Hilarious. why the upgrade? we joke that at the rate we're going, a school bus might be the only thing that fits us in the not-so-distant future.